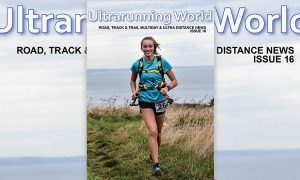 The Clif Bar 10 Peaks events combine ultra distance running with some of the UK’s most rugged and mountainous terrain and are designed to challenge everyone, even the toughest competitors. Navigation plays a significant part as the route is not signed, leaving competitors to plot the quickest, safest route between the 10 highest peaks. A map is provided with a suggested route marked on it, but it is down to each competitor to navigate themselves from start to finish within the 24 hour cut-off. The Lake District hosts the original course which was created by Paul Smith in 2009 as a legacy to his Father. 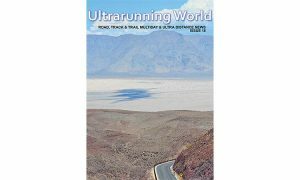 It is an exceedingly tough 73km route with 5600m of ascent, taking in the 10 highest peaks including Scafell Pike (England’s highest mountain), Helvellyn, Pillar and Skiddaw. A mere 50 competitors took up the challenge in 2009 but word soon spread and by 2012 the 250 capacity was being reached long before race day. A new course record of 13 hours and 28 minutes was set in 2012 by Mark Bottomley, who has since joined forces with Paul to create a new event for 2013. 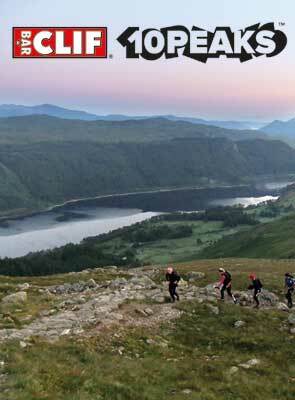 The Clif Bar 10 Peaks – Brecon Beacons is likely to push competitors to the next level! As with The Lakes, the course takes in the 10 highest peaks in the National Park but over a longer 89km trail. Starting and finishing at Talybont Reservoir, the route will send you as far west as the Black Mountain and the summit of Bannau Sir Gaer, taking you over peaks such as Pen y Fan, Fan Fawr and Fan Brycheiniog along the way. 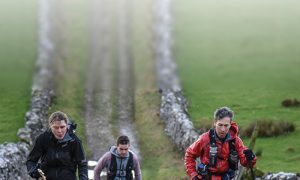 People from many different sporting backgrounds are attracted to 10 Peaks events including fell runners, charity hikers, adventure racers, armed forces, orienteers and marathon runners wanting to try something a bit different. The field is always strong, but the tough terrain catches many by surprise. Statistically only a third of the entrants are likely to complete all 10 peaks. Also new for 2013 are short course options in both locations. These are approximately 2/3rds the distance of the full course, but don’t be fooled these are no walk in the park! We have some great support partners working alongside us, with Clif Bar and Satmap providing some great prizes. With on course assistance from the likes of Mountain Rescue, we can also now cater for up to 400 competitors which should ensure that a real buzz is created at race HQ.